Segments of a belt, believed to be worn by Grand Duke of Lithuania Vytautas, go on display at the Grand Dukes Palace in Vilnius. The belt was found in 1990 together with a hoard of coins in the Minsk district of Molodechno, in the village named Litva (Lithuania). Its segments were borrowed and brought to Vilnius from the National Historical Museum of the Republic of Belarus. They will be exhibited in Vilnius until the middle of July. 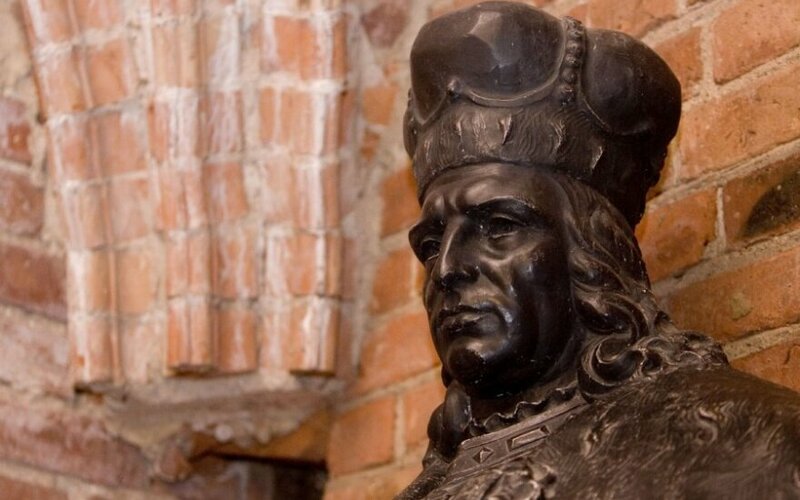 "The belt, at least through legend associated with Vytautas the Great, was brought from the National Historical Museum of the Republic of Belarus in Minsk," Vydas Dolinskas, director of the Palace of the Grand Dukes of Lithuania, told a press conference on Friday. The belt was most likely made in late 14th or early 15th century by Genoan masters working in the Crimean Peninsula in the city of Kaffa (Crimean Khanate, present-day Feodosia, Crimea), decorated with Eastern-looking ornaments. The collection consists of 11 round discs, a buckle, tips, and two rectangular sheaths. All these segments are made of high-grade silver; many elements are gold-plated and blackened. The Gothic shape and décor of the buckle is typical of the school of the Lombardian and Venetian masters. Meanwhile the round discs point to local, Turkish influences. From the moment it entered the public eye, a great deal of speculation and interpretation has arisen regarding the belt’s origins and ownership. 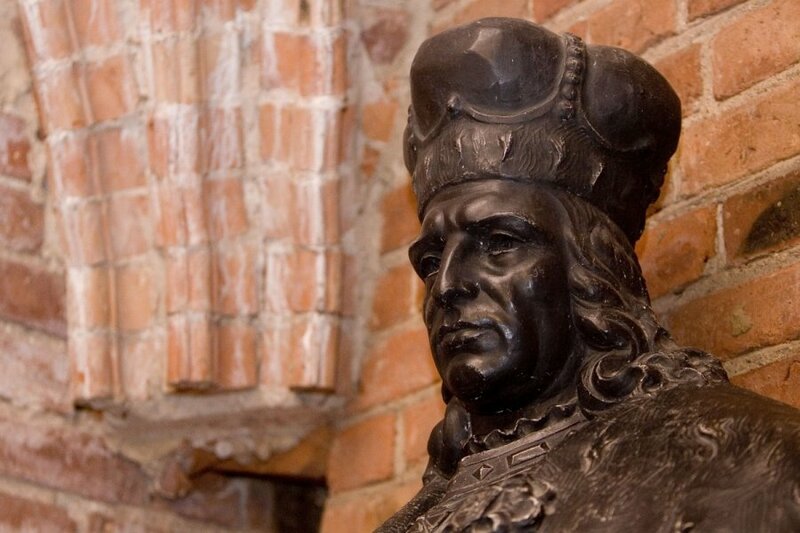 Some historians and public figures associate this treasure with Grand Duke Vytautas, creating an exciting story about the belt being a gift to the Lithuanian ruler in 1428–1429 from Khan Hacı I Giray, who was born in the Grand Duchy of Lithuania. Basing their hypothesis on the stylistic décor of the belt, its ornamentation, dating and the fact that an accessory of such nature and opulence could have belonged to a wealthy and high-ranking figure, some historians assert that the belt could have belonged to the Lithuanian ruler. The collection has left Belarus for the first time. "It's symbolic that the belt goes on display not only in Lithuania but at this palace, in this room. (…) This room, this atmosphere, energy and all the things, everything from those times should complement each other energetically. It was the right thing to bring it here," Oleg Ryzhkov, director of the National Historical Museum of the Republic of Belarus, said.